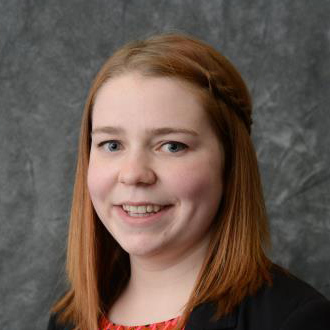 Margaret Murray, a native of Colden, NY, is pursuing a bachelor of science in business administration with a concentration in marketing at the University at Buffalo. Because of her involvement with the UB Academies and UB Office of Student Engagement, Margaret was the 2012 recipient of the Emerging Leader Award given by the University at Buffalo’s Office of Student Engagement. On campus, Margaret continued her involvement as an orientation leader, resident advisor, and diversity advocate. Margaret discovered her passion for event management through her experiences working as event staff for UB Athletics and as the marketing assistant Intern at the New York State Center of Excellence in Bioinformatics and Life Sciences. Through her involvement with the UB Academies’ civic engagement seminar, Margaret had the chance to learn about the City of Buffalo and the volunteer opportunities available to students. Margaret’s future plans are to work for an event management company that provides a platform for local not-for-profit organizations and small businesses through a mix of cultural and entertainment-themed events.